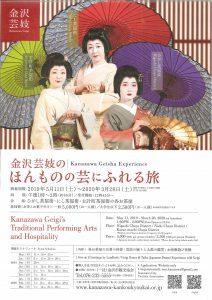 Kanazawa is one of the few cities where traditional geisha still exist. Due to their strict admittance policies however, you most likely would not be able to attend one of their performances without some difficulty. 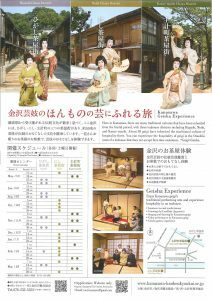 In the Higashi Chayagai district, the establishment Kaikaro offers just such a visitor the opportunity to appreciate geisha performance located inside their authentic teahouse built nearly 200 years ago. It’s open to all!